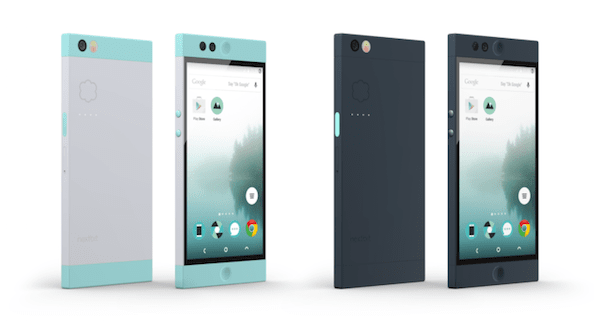 NextBit Robin smartphone has been an ambitious project of two Google's ex-employees who have maintained the buzz about it ever since it raised 18 million dollars from Google Ventures and Accel. The startup company 'NextBit' also raised more than 1.3 million dollars from Kickstarter and more than 124 thousand dollars from BackerKit. And now the good news is that the smartphone Robin's pre-orders have begun for several countries including India. The folks over at NextRobin have maintained that 'Robin' stands out to be a truly different smartphone, as it gets smarter every day, and has made running out of space history. Without further adieu, let's get straight to all the features you want to know about Nextbit's Robin. 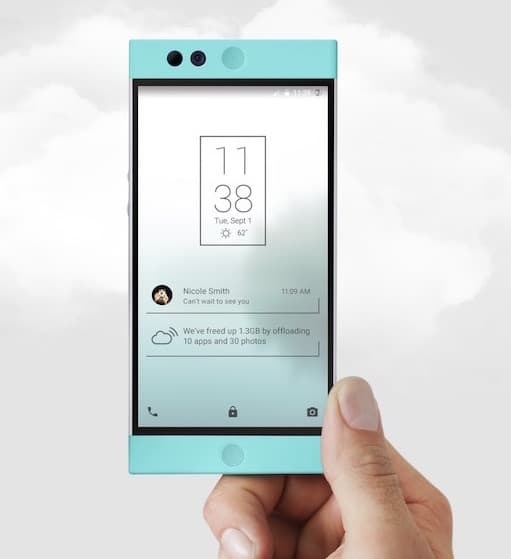 Robin features 100 GB of cloud storage. Launched in two colors - Mint and Midnight, this smartphone has an unique cloud technology integration with the underlying Android operating system. In fact, its hardware it designed and optimised in such a way that it harnesses the power of cloud to the fullest. When connected to WiFi, it takes a back-up of all your apps and photos on the cloud. If you need more space for a new app or a HD video, it will archive the stuff on your phone that you've used the least and make more room. If you are wondering that accessing the data stored on the cloud would be much of a hassle, you'd be proven wrong. Robin has a thumbnail for all the archived data that can be brought back to the phone with a click. Coming to the phone's specifications - We have a phone running on the Qualcomm Snapdragon 808 hexa-core processor coupled with 3 GB RAM and 32 GB onboard memory in addition to the aforementioned 100 GB of cloud storage. A 2680 mAh battery provides enough juice for the phone to last all day. The NextBit Robin features a 5.2 inch IPS LCD touch screen display with 1080 pixel resolution and Gorilla Glass 4 protection. On the phone's rear end is a 13 megapixel camera that supports dual tone flash and phase detection autofocus. Moreover, a 5 megapixel front snapper is great for taking selfies and making video calls. A bunch of additional smart features include Quick Charging technology and support for WiFi, Bluetooth 4.0 and GPS for connectivity and navigation. The phone comes with dual front facing stereo speakers for loud audio playback. Robin’s fingerprint identity sensor technology lets you unlock the phone without the need of passwords or swiping on patterns. Users just need to press the power key, leave your finger there for a split second and Robin is unlocked. Speaking of security, Robin securely transmits and stores data in an encrypted format to its servers and provides two factor authentication with Google. Last but not the least, NextBit's Robin comes with an unlocked SIM and NextBit lets you use customize your phone. Its unlocked bootloader and open source drivers let users load CyanogenMod or any other ROM you want and Robin will still be under warranty. The smartphone is priced at $399 (~ Rs. 26,000) and the shipping for India is $70 ~ (Rs. 4,560). What are your thoughts about the new Android smartphone? Share with us in comments below.